1. Our new design 4 lines control power stunt kite and kitefuring trainner kite. It is a redesigned sail graphics , New profile and shape. have a strong wind hold capability. 2. Very stable flying characteristics, constant pull, high quality construction, incl, reinforced profiles. stitched colour bridle. 3. 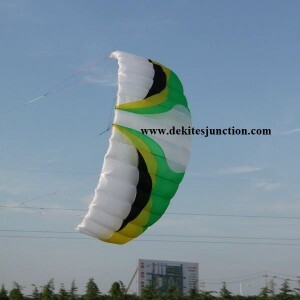 Wide wind range, excllent light wind performance, easy relaunchable. Perfect for step in to 4-lines power kite.you can use four lines to perform your kite speed spins, Loop and Dives, stop, turn...make prompt flying, al as a kite surfing trainner kite. 4. You can flying your kite at a wide wind range. easy relaunch.and prompt action, easy control. 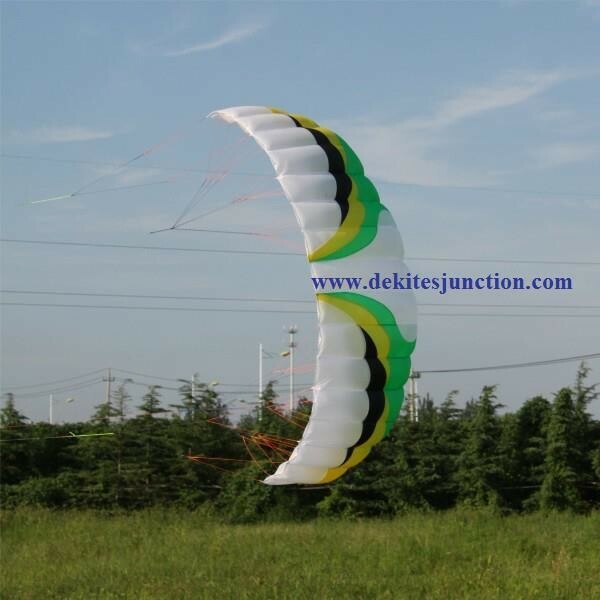 4 line control kite will have more fun for flying kite. 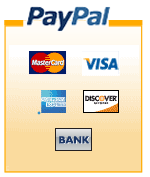 If you have any question feel free to contact us, thanks. 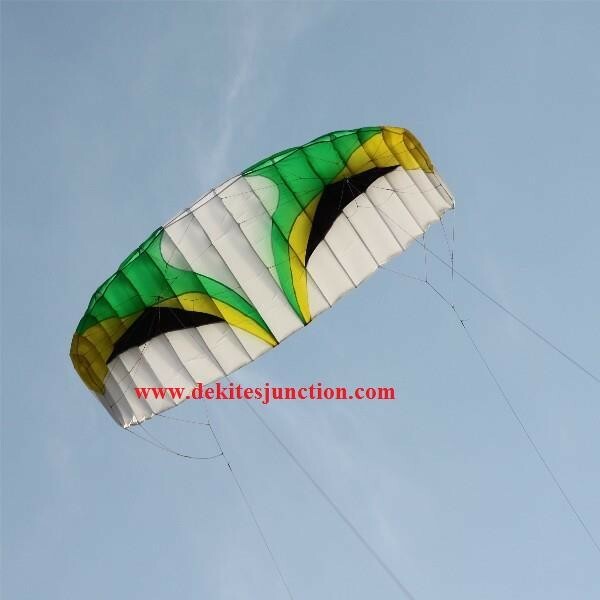 -- KITE Area :3.0sq meters.